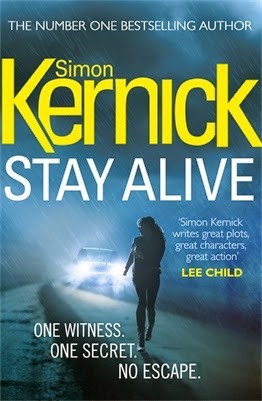 Today’s guest blog is by Simon Kernick whom we have managed to persuade to talk to us about the impetus for his novel Stay Alive which is out now. I first got the idea for Stay Alive when I was on a kayaking trip down the River Wye, near the Welsh border, back in the summer of 2012. I was with my girlfriend of the time and we were on a very isolated stretch of the river that meandered through thick forest on either side. There were no other boats or people, and the only sounds were the running of the water and the occasional birdsong. We pulled up to the bank to stop for lunch and, as we clambered ashore, I had this sudden vision of a woman running out of the trees towards us being chased by armed men shooting at her. What would we do out here, miles from any help if she just jumped in one of our boats, and suddenly we were involved in whatever drama she was a part of? It was a terrifying but intoxicating thought. And so came the idea for Stay Alive - the story of a family of canoeists on a trip through the Scottish wilderness, who get caught in exactly that kind of incident when their paths collide with a fleeing murder witness, Amanda Rowan. By the time my girlfriend and I had finished the kayaking trip later that day I’d already worked out why Amanda was on the run, and who were the men chasing her. It generally takes me about three months to flesh out an idea and turn it into a detailed, chapter by chapter plan, and that was pretty much what happened with Stay Alive. By the beginning of 2013, I was ready to write it. With some of my books, there are a few false starts before I actually get into the flow of things- and very occasionally, I have to scrap a hundred pages or more and simply start again- but Stay Alive turned out to be a real dream to write. I think part of this is because, as a real-time chase set over barely five hours, it had a very linear plot. The most important things were to make sure every chapter ended on a cliff-hanger, and to keep the readers on edge so that they had no idea whether any or all of the three girls being chased- 17 year-old Jess; her 10 year old adopted sister Casey; and Amanda, the mysterious woman who suddenly and dramatically appears in their lives- survived the night. a central character in the book. In Stay Alive, he’s laying low in Scotland, having been involved in solving a violent kidnapping (events that are covered in Dead Man’s Gift, my recent digital short), and working for the company that have hired out the canoes to the unlucky family. Scope soon becomes involved in the chase and is forced to use all the skills he learned in the army to combat the ruthless men hunting the girls down. The book also sees the return of Mike Bolt and Mo Khan, who are involved in a murder investigation subplot, told in flashback, which is directly connected to the Amanda is on the run. All these characters come together in a twisting and violent climax, which I sincerely hope you, the readers, enjoy reading as much as I enjoyed writing it! 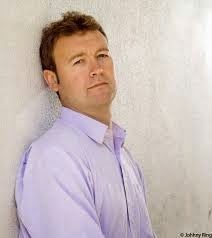 More information about Simon Kernick and his writing can be found on his website. You can also follow him on Twitter @simonkernick and on Facebook. Labels: Arrow, Crime books, Crime Fiction, Simon Kernick, Thriller.